The journey back from Elgin seemed to take forever after the Warriors succumbed to their first league defeat of the season at Boroughbriggs against bottom of the league Elgin City.. Going into this game Elgin had not won at home all season and in the early stages of this game they seemed to lack belief against the league leaders with the defence in particular looking vulnerable. It therefore came as no surprise when Stenhousemuir took the lead in the 17th minute when Willie Lyle pinged a ball from the right touch line to Scott Dalziel who missed the ball as did his marker and the ball fell to Kevin Motion who once again showed a deadly finish to dispatch the ball past keeper Andrew McNulty and into the net. The Warriors were shocked four minutes later when Elgin in one of their few first half attacks equalized when Craig Campbell and Paul Kaczan combined before Campbell fired low past Kieron Renton. Elgin were trying to play the offside trap almost all the time and it was frustrating how many time the Warriors forwards were caught as with a little bit more patience they would have been able to exploit the home teams frailties. The Warriors suffered a blow in the 32nd minute when Jordan Smith had to be substituted with what looked like a hamstring pull and Paul Tyrrell had to deputise despite not been a regular centre half. Despite that set back Stenhousemuir took the lead just before half time when McNulty rushed out of his box and brought down Dalziel despite there not being a real threat at the time to the Elgin goal. Andy Brand duly completed the keepers rash judgement by thundering the free kick into the back of the net. 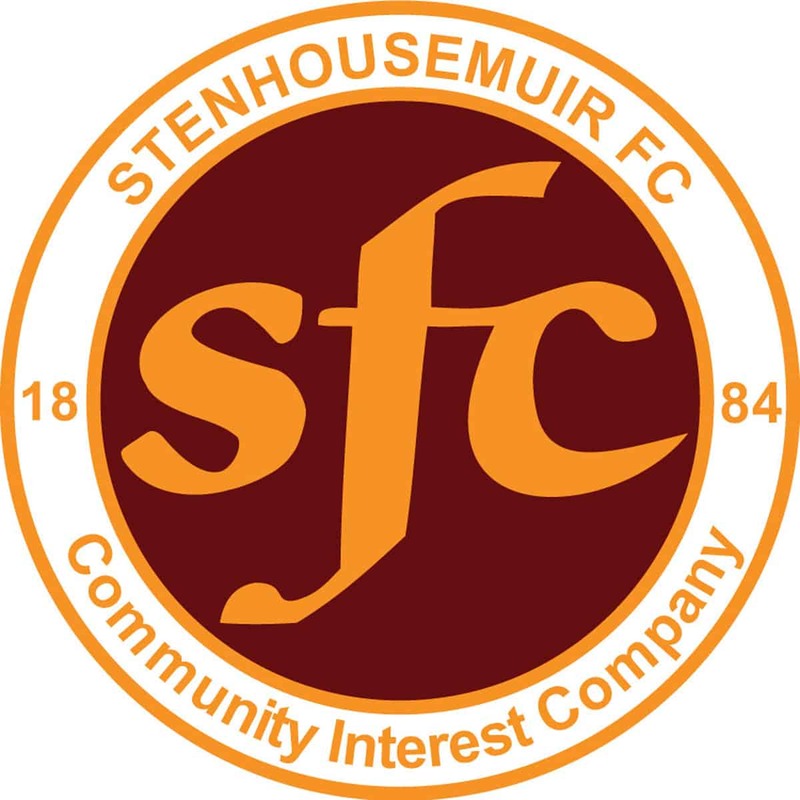 The second half saw the home team start brightly as Stenhousemuir never seemed to get back to the tempo that they had set in the first half and there were a couple of warning shots across the bow for Stenhousemuir in the first ten minutes of the second half. They were not to heed these warnings though and Elgin equalized in fortunate circumstances when Renton stopped a Darren Shallicker effort but the parry rebounded off the Elgin striker and into the net in the 62nd minute. Renton was incensed at the goal being given though as he felt that a handball had occurred in the attempts to score. Worse was to follow for Renton on his return to Boroughbriggs where he previously plied his trade as he made a hash of an Ally MacDonald corner kick in the 76th minute dropping the ball onto the head of an Elgin attacker and the ball spiraled up for Guy Kerr to volley home from close range. The Warriors tried to get back on level terms but their efforts lacked conviction with Dalziel and John Ovenstone both squandering chances that on another day they would have taken. In time added on Campbell did well to win a corner for the home side as he run down time. From the resultant set piece the game was put beyond doubt when Shaillker shot from the edge of the box and though his effort might have been going wide it was steered in by Kaczan, though there was a hesitation by referee Mr Northcroft before he awarded the goal possibly thinking that it was offside but no flag was shown by his assistant. All in all this was a bad day at the office for the Warriors but they still maintain their top of the league spot till the end of the month as next week sees a break in league business as it is Scottish Cup week.